British Prime Minister Theresa May rushed to Strasbourg on Monday to seek concessions from the European Union in a last-ditch attempt to avoid another humiliating defeat in Parliament of her deal to exit the bloc. The announcement comes after British Prime Minister Theresa May rushed to Strasbourg Monday to seek concessions from the EU in a last-ditch attempt to avoid another humiliating defeat in Parliament of her deal to exit the bloc. The measure is intended to reassure Britain it won't be trapped forever in a mechanism designed to prevent a hard border between Ireland and Northern Ireland. Concerns over the border measure were the main reason Britain's Parliament rejected the deal in January. Lawmakers are due to vote on it again Tuesday. 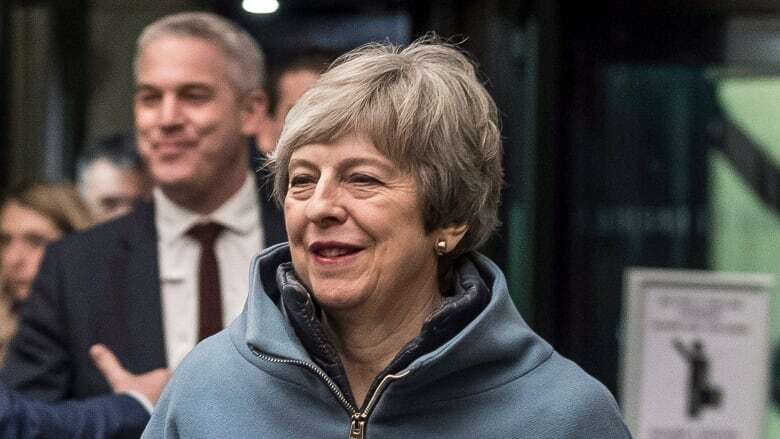 In a day of frenetic diplomacy ahead of a Tuesday parliamentary vote on her deal, May spoke to European Commission President Jean-Claude Juncker in an effort to find a way through the Brexit maze, after she rejected a Brexit compromise hashed out in Brussels on Saturday. "Please don't assume this points to a deal," a British official said. "It means there is basis for a further face-to-face discussion as part of the talks." May's spokesperson said a "meaningful" parliamentary vote on her deal would go ahead on Tuesday, even though talks with the EU had been deadlocked. 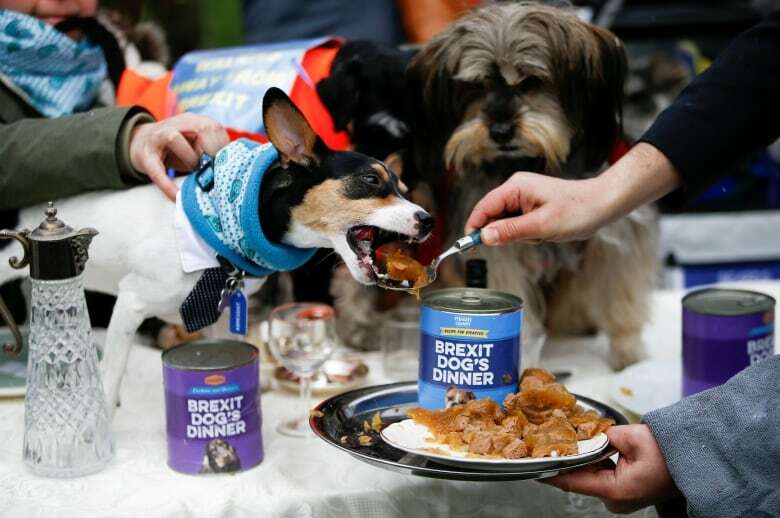 "May has boxed herself even deeper into a corner, it seems the second meaningful vote will go ahead on Tuesday but it also seems like it won't be the last meaningful vote on this," one EU official said. "We really want to be over with it now. It's not going anywhere so even an extension is unlikely to break the impasse. There is not much patience or goodwill left on our side." European Commission spokesperson Margaritis Schinas said it was up to the British Parliament to make important decisions on Brexit this week. Parliament rejected May's deal by 230 votes on Jan. 15, prompting her to return to Brussels in search of changes to the so-called Irish backstop — an insurance policy to prevent the return of a hard border between Ireland and Northern Ireland. Many British lawmakers object to the policy on the grounds it could leave Britain subject to EU rules indefinitely and cleave Northern Ireland away from the rest of the United Kingdom. "We're very clear that the Withdrawal Agreement can't change but we want to try to be helpful in terms of providing the clarity and reassurance that's needed in Westminster that the backstop is intended to be temporary," Irish Foreign Minister Simon Coveney said. "No one is looking to trap anyone anywhere." 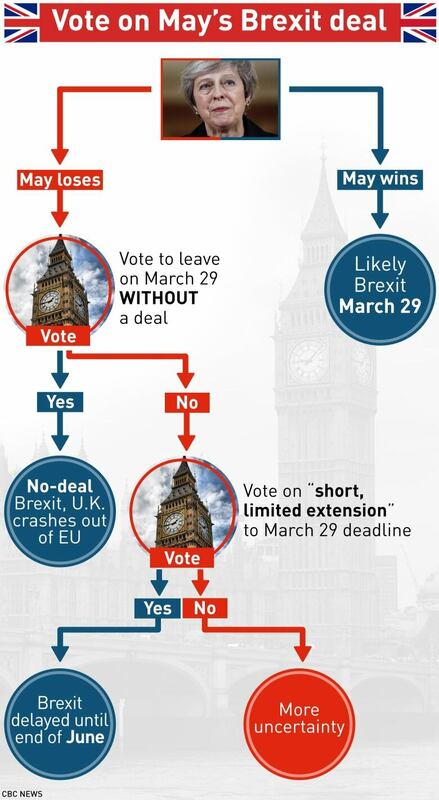 May offered lawmakers a "meaningful" vote on what she had hoped would be a revised deal on Tuesday but with no major changes yet secured, Brexit-supporting lawmakers warned it would be defeated again. "We will essentially be voting on exactly the same Withdrawal Agreement that we voted on last time and in very simple terms: if you ask the same question you are likely to get pretty much the same answer," said Conservative MP Mark Francois. 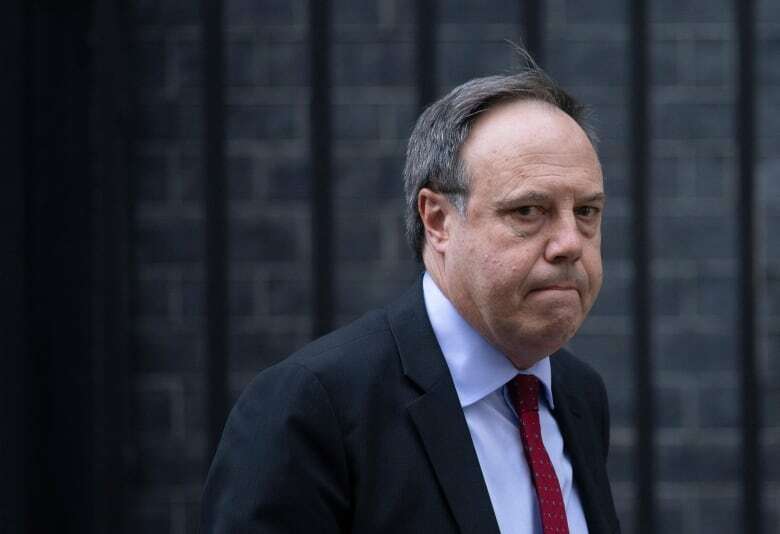 Nigel Dodds, deputy leader of the Democratic Unionist Party (DUP), which props up May's minority government, and Steve Baker, a leading figure in the large euroskeptic faction of her Conservative Party, said she was heading for defeat. Yvette Cooper, an opposition party lawmaker who has led efforts to hand Parliament more control over Brexit, said Parliament would try to take control of the exit process if May is unable to build a consensus.